The museum generally hosts between 50-350 students per day, Tuesday through Friday. Mondays are set aside for special needs groups and a limited engagement program where we provide scholarships for students at Renaissance Schools. School groups may enjoy lunch any time in Curtis Hixon Park excluding the pavement area around the Tampa Museum of Art. In case of inclement weather, an indoor space may be provided. Grade 5-8 Field Trips include two Think Studios and one SMALLab for a price of $10 per student. One free teacher/chaperone for every 8 students. Bus parking is available on Gasparilla Plaza on a first-come, first-served basis. Cars and vans park in the adjacent Poe Parking Garage on the corner of Ashley Drive and Cass Street. Standard parking is $1.20 an hour and is regulated by the City of Tampa. When bus parking is no longer available on the Plaza, we direct buses to the nearest available parking location. Our Playbook, which describes all of the field trip options, is available at glazermuseum.org/fieldtrips. In addition, check out our curriculum by grade levels at glazermuseum.org/curriculum. 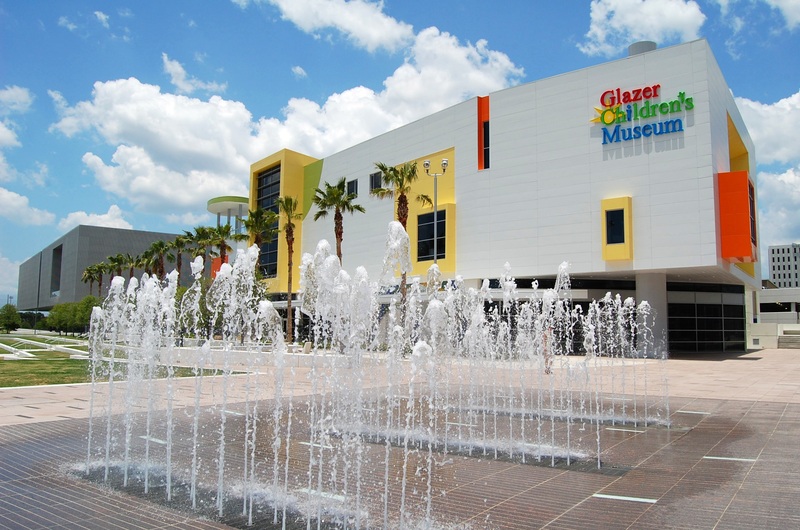 Request a field trip at GlazerMuseum.org or contact Guest Services at 813-443-3821 or reservations@glazermuseum.org.